Whatever, however, whoever. 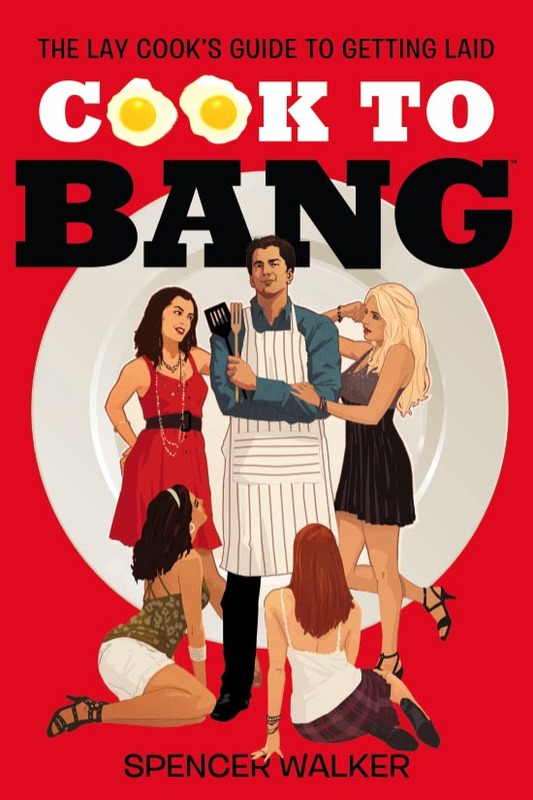 Just Cook To Bang. 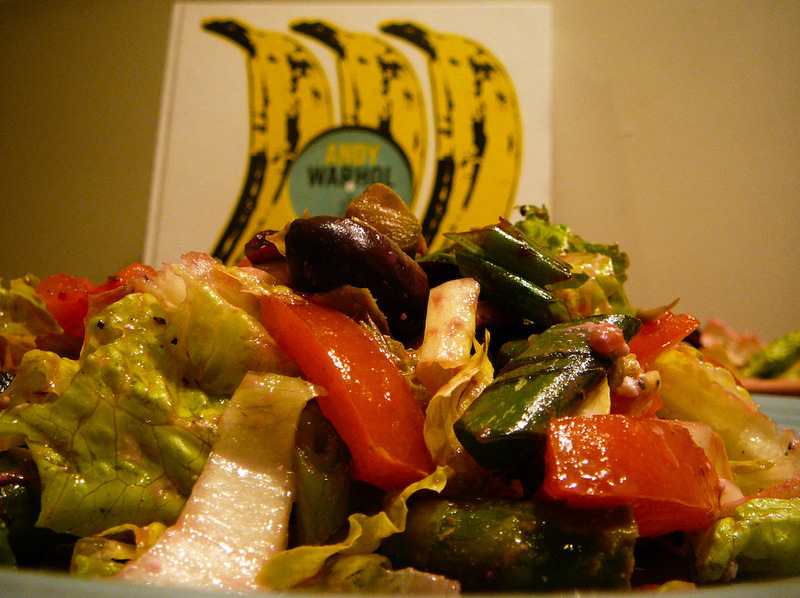 Admittedly, this salad’s title kind of blows. Not even with the steroids I scored from Manny Ramirez can I always bat 1000. But this salad neither blew nor sucked. It was totally off the hook yet totally unplanned. I found out way too late that the young lady who came over for dinner was a militant vegetarian. Something about a misdemeanor for chaining herself to a fur coat store in college. Note to self: stop picking up girls at yoga class. The killer SALMON DISH that is a shoe-in CTB was well out. But the consolation prize was she loved feta cheese. So into the fridge I went and in a moment of panic grabbed everything that looked like feta-friendly. 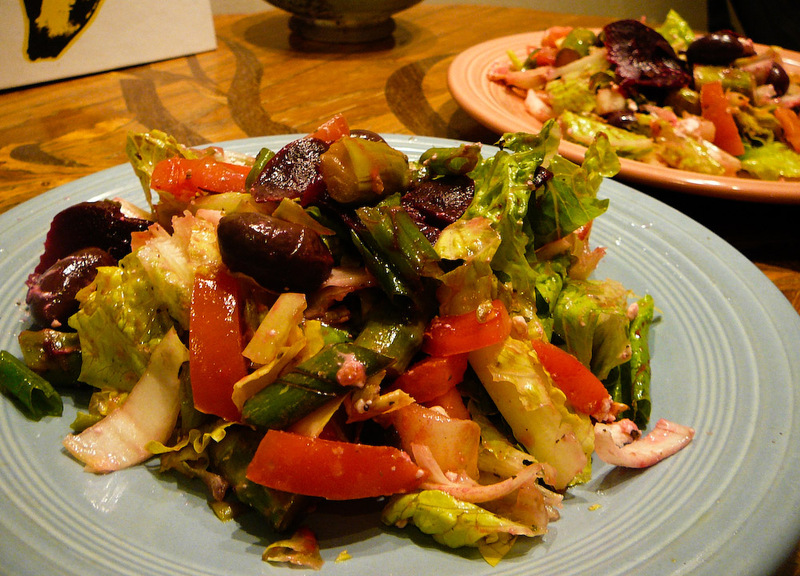 The salad before you is whatever was in the fridge and it was awesome. My hippie crusader chained herself to my bed to protest us running out. First you must prep the vegetables. Break the romaine lettuce apart every two inches and wash it all. Slice up the endives every inch or so. Also cut the asparagus every inch or so. 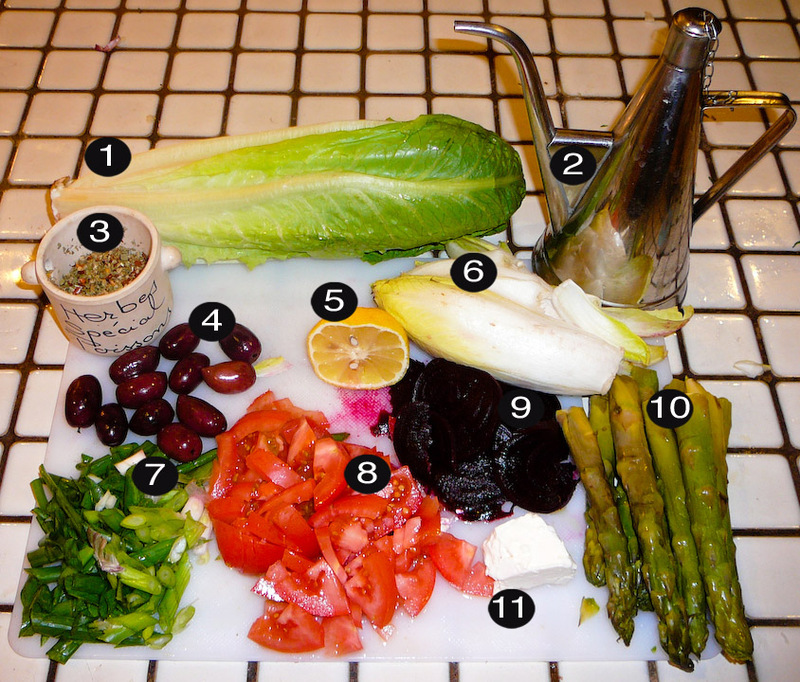 Combine the sliced endives, romaine lettuce, tomatoes, beets, olives, crumbled feta cheese, Herbs de Provence, olive oil, and lemon juice in a large bowl. Toss that salad like a pro. Serve it up to even the crunchiest of guests.